Portland condo Downtown living at its finest! 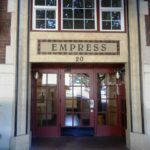 This Portland condo for sale in The Empress Condominiums is in a great location with the Pearl District on one side, Northwest Portland on one and Downtown just south. 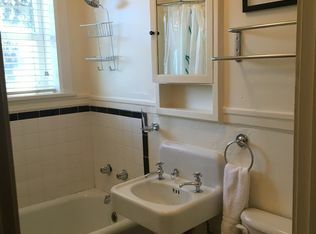 The Portland condo charming studio is just 2 mails to Portland Max. 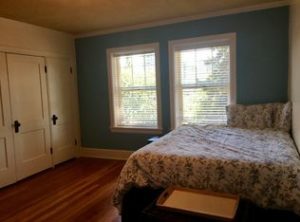 Nicely furnished with open floor plan with pristine original woods floors, period tile and newer washer and dryer. 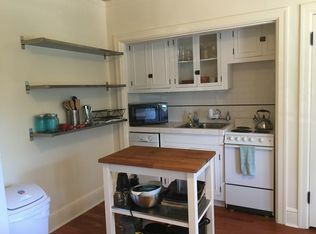 Plus, dishwasher which is hard to find in some of our older Portland condo buildings. 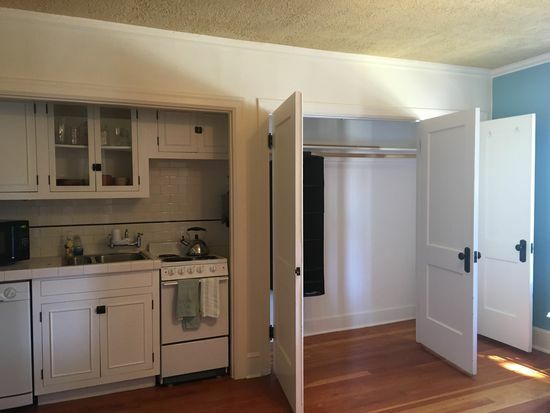 Refrigerator is also included. 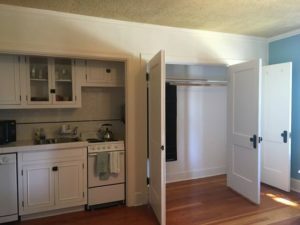 Great use of space with this condo for sale in Portland Oregon. With a walk score of 99, bike score 95 and transit score 95 makes a perfect condo if you want to be car free in the City of Portland! There is easy street parking with an annual Portland zone permit. 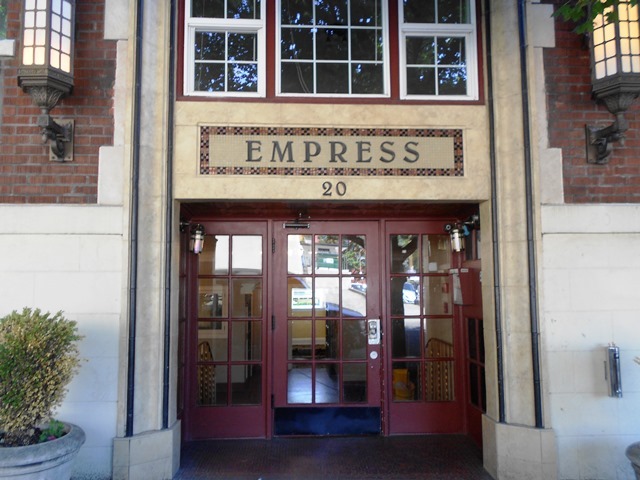 Also makes a great investment as the Empress Condominiums in Portland Oregon has no rental Cap!